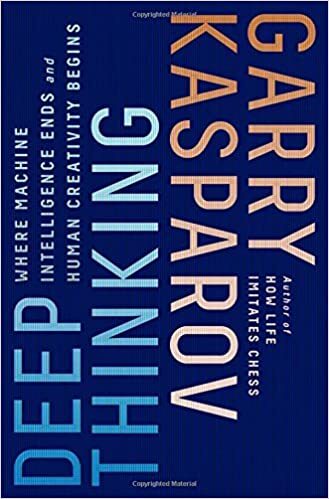 Last Thursday (8th June) I attended Garry Kasparov's seminar promoting his latest book Deep Thinking: Where Machine Intelligence Ends and Human Creativity Begins. The event was organized by The Commonwealth Club at Marines' Memorial Theatre, San Francisco. This one hour event started at noon and was moderated by Holly Kernan, VP of news editing of San Francisco Chronicle, followed by a book signing session in stage by Kasparov. The event was sold out and I am fortunate that I purchased the ticket earlier. In this semiar he discussed about Putin's terrible regime in Russia and gave an optimistic view of artificial intelligence assisting human creativity in future. 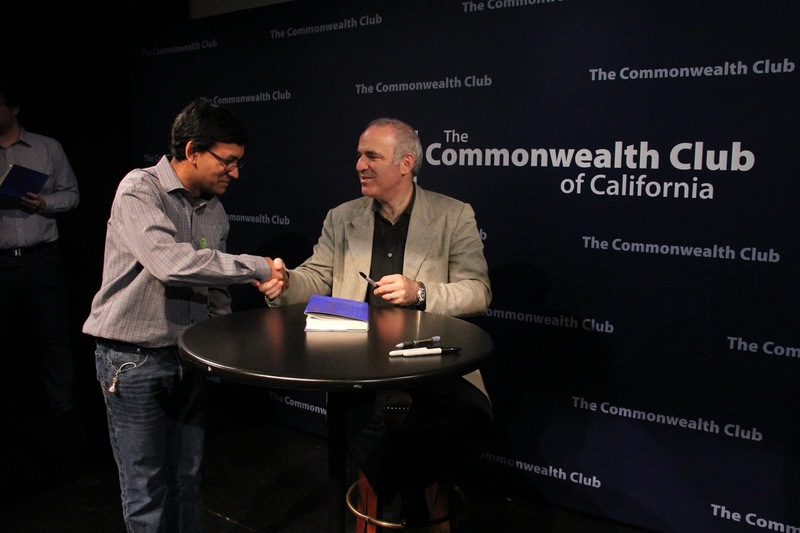 I ordered the book from Amazon ahead of time and hence was able to get an autograph of Kasparov on this book along with getting the above picture taken by the photographer. It was a great moment for me as I regard him as the strongest chess player of all time. I have studied his games, his biography, his famous series of chess books - My Great Predecessors, his mammoth clashes over the board with another legend Anatoly Karpov. A lot of my love for chess may be sourced from the enthusiasm from this great chess player.